Following the hustle and bustle that comes with Christmas, it can be nice to give the house a new look to carry forward into the New Year. Installing new stair cladding can give your staircase, and your entire home, a new lease of life. Once you have picked out your stair cladding, you are going to want to install it on your staircase. 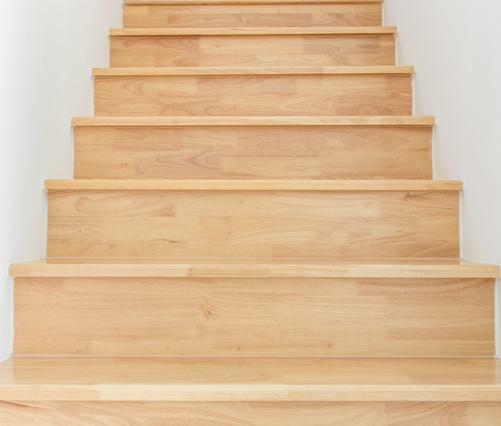 DIY can be daunting even to the handiest man or woman, so we have put together a simple step-by-step guide on how to install your new staircase parts. Preparation is key, whatever you are doing. Before you go to put in your new cladding, you are going to want to ensure that the existing steps are clean, smooth and dry. Remove any old nails that may be present and gently sand each step. It is also recommended to sand all of the tread and risers before fitting to your staircase. It is important to measure each part accurately, otherwise you risk ruining your cladding before it has even made it onto your staircase. Measure the bullnose protrusion, beginning from the face of the riser to the outermost point of the bullnose. Once you have done this, screw it into place on the existing risers. Measure each part twice before cutting in order to avoid making errors and rendering the cladding unusable. Once you are happy with the measurements and have cut the pieces accurately, dry fit the Klad onto the steps and make any necessary adjustments. Now it is time to apply a flexible polymer adhesive, using around a 10mm bead, onto the step. Place the tread gently onto the step and ensure that the riser fits snuggly into the groove on the underside of the tread. Fit risers and treads one at a time. Do not attempt to rush glueing the parts down as it is important to place them in gently. Once all the risers and treads have been fitted and glued into place, you have successfully completed the installation of your new stair cladding. Installing stair cladding can be a fairly simple exercise, as long as you know what you are doing. If you feel that the New Year is the right time to take out the old and bring in the new, why not get in contact with us? We will be more than happy to discuss the staircase cladding options that are available to you.